There are a number of magazine, website and book reviews done on this website. Most are focused on technical analysis but there are also a few dealing with other aspects of trading. These resources are useful to the stock trader. By concentrating your time on reading good, informative, information you will begin to acquire some of the expertise required to trade stocks. One of the ways to develop your own trading system is to do everything yourself and slowly build up the knowledge base you require to be a good trader. This method is slow as there is so much to learn. 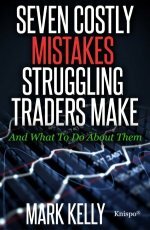 This book reviews page gives you some places to start your trading education. Be forewarned, no matter how you do it, generally a stock market education does not come cheap. To speed up the process, book reviews identifies places to go where you can read about what others have done. There are hundreds of books and websites on trading stocks and a few good magazines that can offer you advice and ideas on what works. Once you have some stock trading basics, it is easier to understand many of these books and websites. Buying a book is generally an inexpensive way to increase your stock trading knowledge. It is far cheaper to purchase and read a book than it is to have a trade go against you. If you think books are too expensive take a look at your trading history and consider how much better off you would be if you could improve your stock trading skills. Check out these book reviews to learn about the systems used by professional traders. First you need to know where to buy books on stock trading. Then you have to decide whether you want to read book reviews on technical analysis or fundamental analysis or if you want to become knowledgeable in both of these areas. No matter how you do it keeping informed by reading some of the books identified in this book reviews section should only help improve your trading skills. Another way to pick up new current ideas is to read stock trading magazines. Stock trading magazines give you current content as most of them are published on a monthly basis. You also get the advantage of reading articles from a number of authors. After identifying an author you like you may then want to read one of their books. Trading magazines also give reviews on books and websites which you may find useful. Most magazines also have one or two articles discussing the discipline required to trade or trading psychology which is extremely important to trading but is neglected by most beginner and intermediate traders. Every day you likely get a local daily newspaper. While these types of papers are great for getting local information they normally do not have a very good business section. If you are interested in getting more current information and reading different views on business subjects then you may want to consider reading a paper dedicated to business news. One of the better papers which can be viewed online, in print or via Kindle is Investor's Business Daily. While magazines are updates monthly, stock trading websites and updated daily and also offer many interactive advantages over books and magazines. There are thousands of stock trading websites and most of them fall into specific categories. There are stock trading websites which offer stock quotes, stock charts, news and information, stock brokers, stock market screeners and newsletters to list a few of the many things available on the web. Residual income or passive income is income generated without doing any ongoing work. This type of income comes from stocks paying dividends or interest earned on money deposited with some financial institution. However, there are many other ways to generate residual income and in this section a number of books on this subject are offered. For many people who after trading for a while identify that stock trading is not for them but are searching for alternate ways of making money, understanding how to generate residual income may be an important next step.